The south-east county of Berkshire has attractive opportunities for anyone looking to move their business to the region. Recognised as the Royal County of Berkshire, the area is of great historical significance, not to mention serene environment for raising families. The county is a mixture of large urban towns like Reading, Slough, Maidenhead and Windsor to the East while West Berkshire is more sparsely populated. This contrast offers a diversity that responds to varying business needs. When looking at your options for commercial property in Berkshire, this guide will help you narrow them down. With the right information, it will be less challenging to decide where in Berkshire to relocate and what to expect. Are you looking to buy commercial property in Berkshire? Get in touch for a free consultation with a commercial property expert. Any commercial entity has to look at the transport links of a specific region first, so you want to make certain that employees who have to travel long distances have the proper means to do so. Berkshire is some 51 miles west of Greater London, and it takes slightly over an hour to get to the capital via the M4, and only over half an hour to get to Heathrow airport. Commuters also have easy access to the M3, M25 and M40. 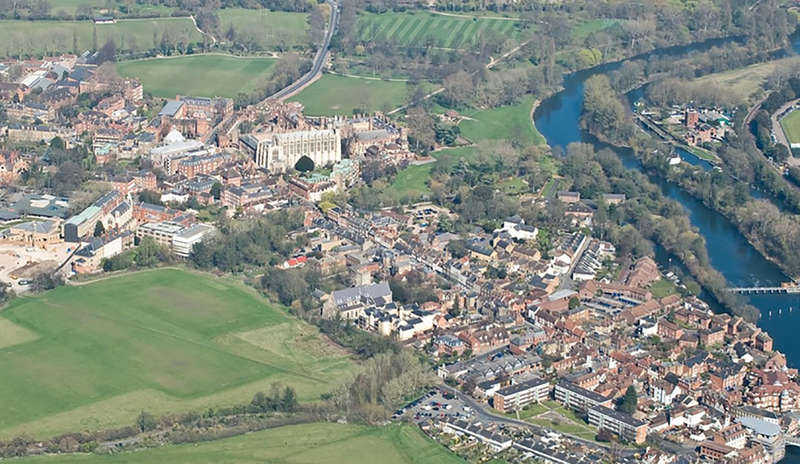 The well-developed connections make most of the towns in Berkshire perfect for setting up a business. Then there is Cross Rail, the high frequency, high capacity railway that will connect the south-east to London. Reading, Maidenhead and Slough will be the biggest beneficiaries, and you can consider this when selecting commercial property Berkshire. The suitability of a commercial real estate location depends on many elements. For one, you have to factor in the availability of public services. Berkshire has a well advanced public transportation system and amenities. You also have to think about the target market for your business. Reading, for example, is the sub-regional capital of the Thames Valley and the gateway the Silicon Corridor, meaning a tech or IT service company will find it promising. Before placing the down payment on a commercial property, consider how fast your business is growing and what that means for your space requirements. It is wasteful to find the perfect offices that only cater to your immediate needs and then leave after a few months when your employees are no longer comfortable. If you are going to move your business to Wokingham, consider the growth potential of the town first. Does your kind of business have room to thrive? For instance, when you start using semi trailers for your delivery business, the local authorities and commercial property will allow their movement. The kind of commerce your corporation engages in will determine the suitability of a building. For a manufacturing company, you will want real estate that caters to your production and distribution needs. If you are a retailer, a place like Slough offers appropriate rental options with the Observatory and Queensmere malls accommodating a variety of businesses. Windsor, thanks to its strong tourism sector, is also an ideal spot for retailers, but commercial property in the town is harder to find. The zoning regulations of a particular area can limit your business practices severely. You may find the perfect commercial property, only to realise later that the safety standards are too restrictive to allow any profit. Of course, these rules depend on the type of company. Restaurateurs, hoteliers, and manufacturing enterprises have some of the strictest business conditions. Before picking a location in Berkshire to settle, get details about the area regulations. Expert assistance goes a long way when searching for commercial property in Berkshire, so take advantage of free consultation services to get professional opinions.